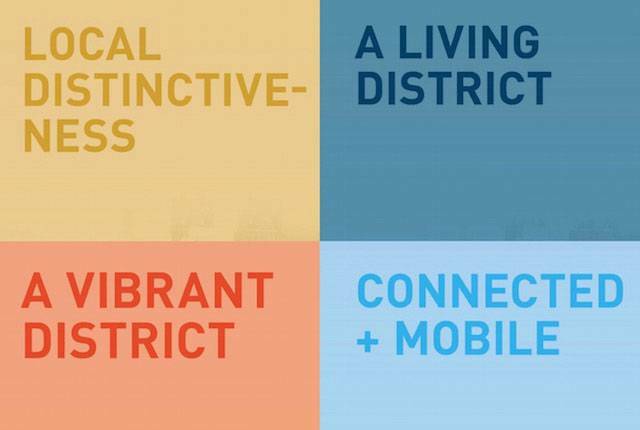 A living district with a number of strategies to make the area, particularly Garnethill, a better place to live. Local distinctiveness – greener and better maintained streets and spaces, making more of local assets like cultural institutions and venues, and celebrating cultural diversity. Connected and mobile – making it easier for people to walk and cycle, better public transport and better connections across the M8. A vibrant district where local business, arts and culture can all thrive as the basis for more activity and jobs. Linked to those four themes is a Public Space Plan showing what improvements should happen where. You can see the presentation slides / display posters in full below. The slides are a summary of the Regeneration Framework report, which will contain more detail and be published for formal public consultation in late November before the hard work of implementation takes place over the next decade. Before then, Gehl Architects will finalise the report based on comments from the public. The following presentation should be viewed full-screen if possible – we appreciate that there are some issues with clarity of text and we are trying to resolve these. Press the double arrow box next to the Linkedin logo bottom right. Alternatively you can download this PDF [10.1MB] which has the same content. You can view it in your browser or for more control use your PDF viewer. We’d love to hear from you. Are there any things in the slideshow that you particularly like? Is anything missing? If you’ve got thoughts in response to the presentation, please let us know by 11 September using Twitter, Facebook or sauchiehall.net. Thanks! 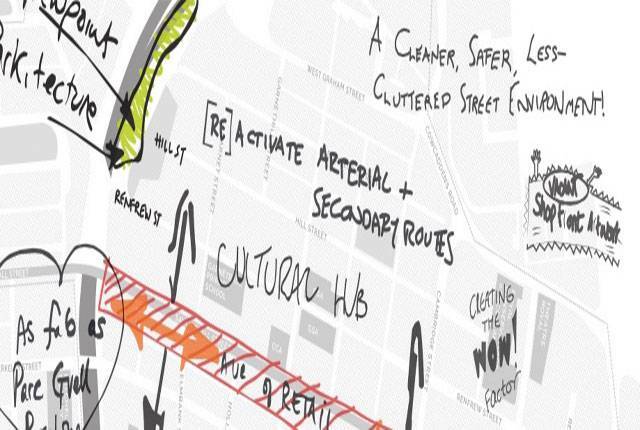 You are warmly invited to a presentation of the draft Regeneration Framework for Sauchiehall Street and Garnethill, led by Gehl Architects of Copenhagen on behalf of Glasgow City Council. CCA 350 Sauchiehall Street, Glasgow, G2 3JD. 3:30 to 7pm drop in to see the proposals and meet the team. 4pm and 6pm presentations (repeated). Whether you live or work in the area, or are just interested, we need you to tell us whether we’ve got the proposals right. Have we fulfilled the agenda that was set by businesses, residents, institutions and artists earlier in the year? We look forward to seeing you on Monday 24th August.